So far we have tried some easy bolt ons like a manifold spacer, headers, high flow cats and exhaust on our 350Z all with good results. Naturally at this point it is time to change camshafts to get more bolt on power out of our VQ35DE engine. 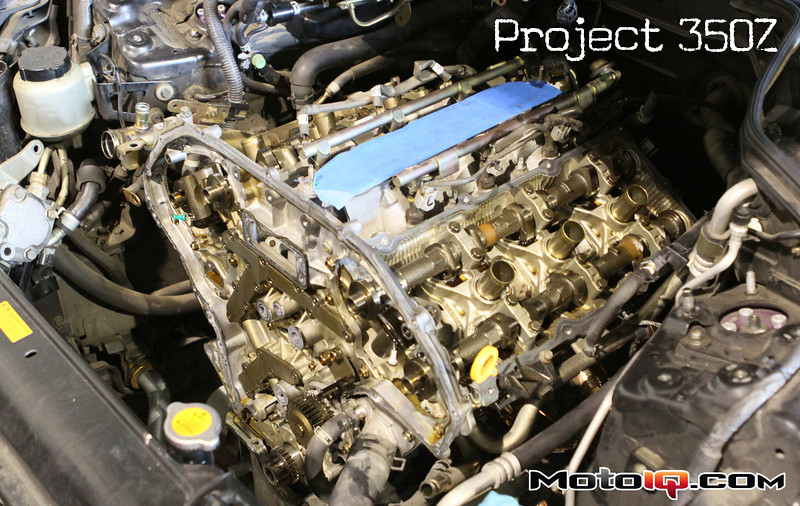 One thing that discourages many people from going this route is that changing cams on a VQ engine is quite a big job. Having two banks of cylinders and 4 cams is a lot of the reason. It's not super hard technically but it requires at least a couple days of wrenching and some care has to be taken to avoid problems. 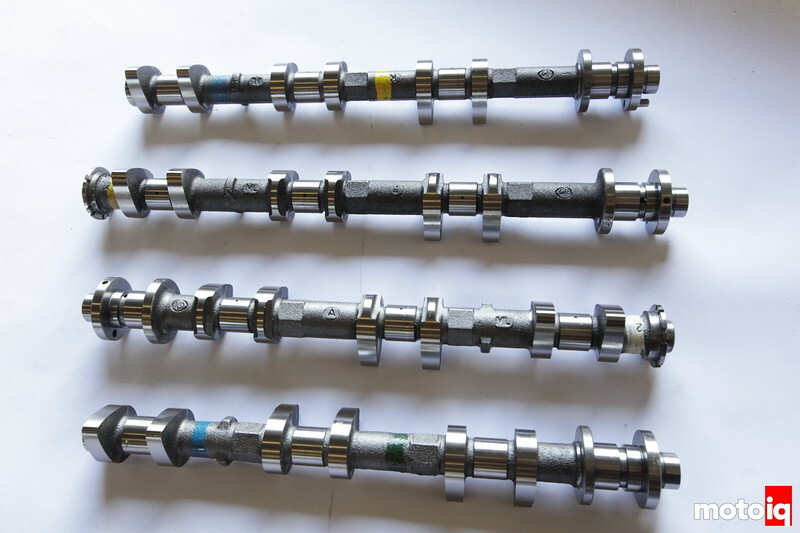 Time consuming or not, camshafts are the next logical progression in the evolution of Project 350Z so we asked our friends at Jim Wolf Technology or JWT to provide us with some of their excellent C2 cams. We chose the C2 because they were probably the biggest practical camshafts that would work in the stock bottom end engine. The VQ35DE is hamstrung with a stock 6500 rpm limit. With the stock bottom end the revs should not be raised past 7000 rpm due to weak rod bolts. Switching to later model rev up rod bolts will allow 7500 rpm but to go higher requires aftermarket rods. 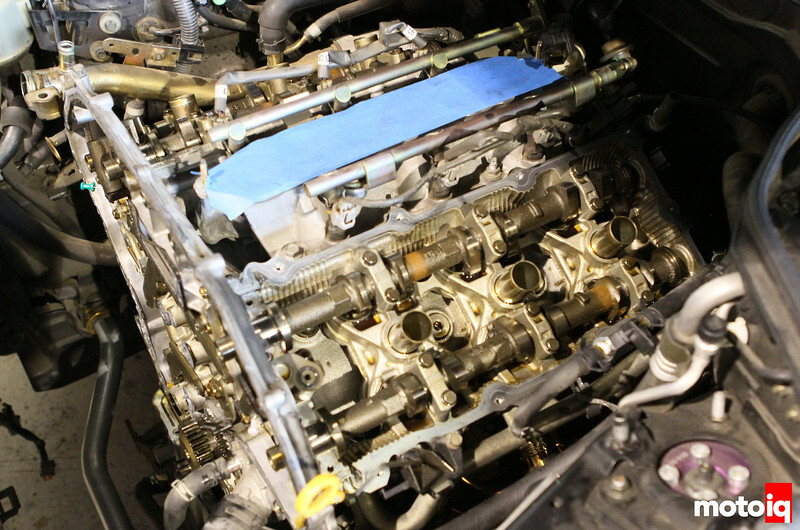 The JWT C2 cams have 261 degrees of duration and 0.456″ of lift and require JWT valve springs. We like JWT's cams because they use superior engineering to produce a cam with fast ramps and attenuation of spring surge by design. The cam lobe profile and spring harmonics are designed around each other to avoid surge and allow the maximum area under the lift curve. For this reason do not try to use other brands of springs with JWT cams. With a fairly short duration and a lot of area under the curve, the JWT cams have a fairly broad powerband. To get the most out of the cams, we will probably need to do some ECU tuning at a later date but for now we will just bolt the cams in and test them to share the results with you. JWT's C2 cams are ground on new billets right at their San Diego facility. JWT has a precision Berco grinding machine. Thanks to their mastery the grinding process, JWT cams have exceptional accuracy and a very fine surface finish, perhaps the smoothest we have ever seen. By using only new billets, the JWT cams are much easier to set up as the base circle diameter is very close to OEM. 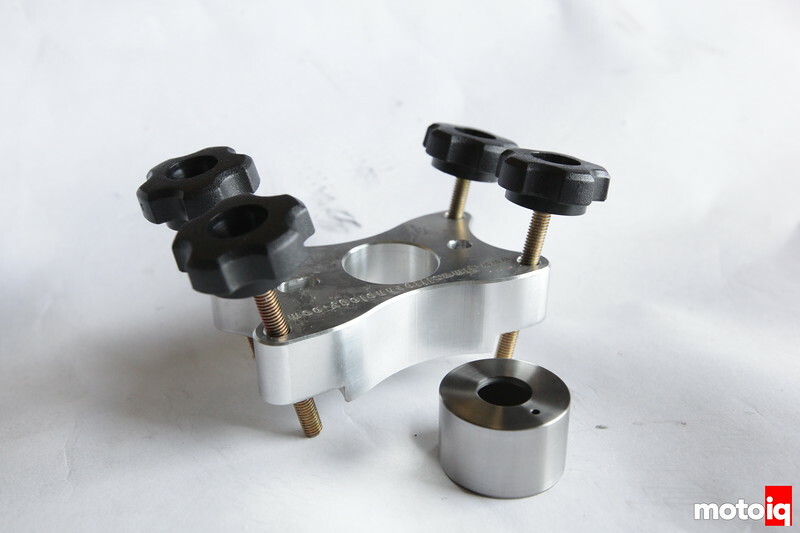 JWT also makes this very simple, low cost and ingenious spring compressor for the VQ engine. It bolts to the head and uses these thumbscrews to push down a lifter bucket that has a hole drilled in it so you can remove the valve spring retainer keepers with a magnet through the hole. JWT only supplies one drilled lifter but we made 3 more so we could do 4 valves at once. Super cool! 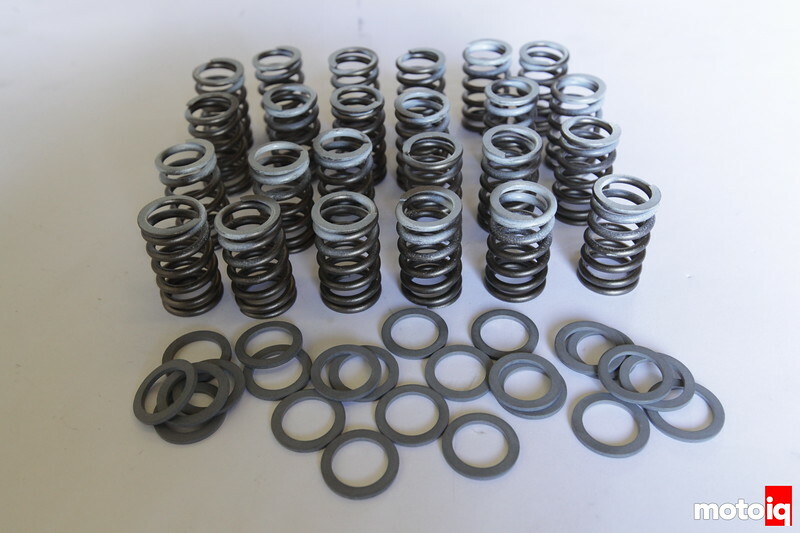 JWT valve springs are made of a very high grade Kobe Clean Steel which is a chrome silicon vanadium vacuum arc remelted and vacuum degassed alloy. This process greatly reduces impurities and inclusions which are stress risers that can greatly reduce fatigue strength. JWT springs are also designed to avoid surge through avoiding excitement in 5th and 6th order harmonics by careful control of their natural frequency. JWT cams and springs need to be matched with each other. So we disassembled the engine of the car to the point where we could install the cams. We had to remove the intake manifold, valve covers, front end accessories and the timing chain cover, timing chain, cam gears and oil pan. This is a good amount of work and we have just begun.